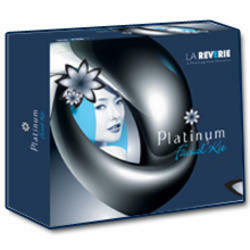 A Platinum base facial for all types of skin. Special effects in pigmented skin. A gel with anti-septic property for deep cleansing and nourishing the skin. Rub the gel gently with fingertips in circular motion for 5-7 minutes, and clean the face with moist cotton. Cleanses and soothes the skin. Helps lighten the skin, repair blemishes and restores skin youthful. It provides deep exfoliation removing dead cells, dirt and impurities. It detoxifies the skin and improves blood circulation. Provides long lasting moisturization leaving skin soft and supple. 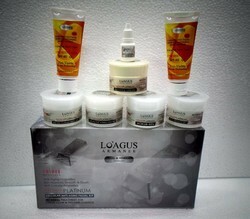 The Platinum kit maintains the fairness, glow and shining of skin with an extensive ayurvedic formula. It has a dual action formula for anti-ageing, anti tanning, skin tightening. It maintains collagen and elasticity of the skin and tones and refreshes the skin for pigmented skin. Our company holds immense experience in this domain and is involved in offering wide assortment of Raaga Platinum Facial Kit.